Creation of the composer package for theme (optional step). We will not do that in this article, but describe the process. Note: As you can see, the folder name is capitalized. It is not a requirement, just a recommendation from Magento 2 developers. After creating of the theme catalog, we need to create the theme.xml file. In this file, we will enter the name of our theme, the parent theme, also we can set the path to the theme preview image. 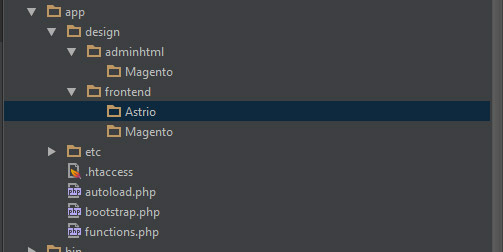 The default Magento 2 themes are formed as Composer packages. You can find more information about composer here and also here. 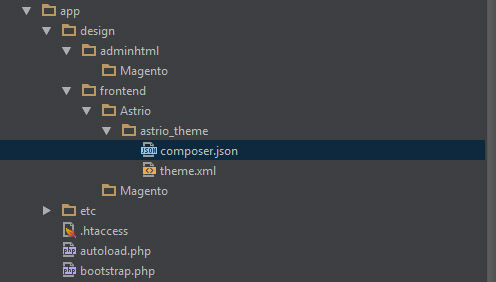 To organize your theme as a package, add the composer.json file to the theme directory and register the package on the server. The public package server by default is: https://packagist.org/. The composer.json file provides information about the theme dependencies. It is very nice and useful feature of the new Magento 2.0 version. In order to set the configuration (size, resize, proportions, cropping and so on) for the product images, we need to create the view.xml file, in the "etc" folder (in the root of the theme directory). If the configuration of the parent theme does not require any changes, in this case the default view.xml file will be called. In our case, we will inherit the theme from the standard Luma theme, and we will not touch the configuration of the images. The Magento 2 approach is a bit different. Now, at the root of the theme directory, you should create folder with name "i18n". And create a file with translation in the "i18n" folder, e.g. "en_US.csv". Note: The "i18n" term is numeronym (where 18 stands for the number of letters between the first "i" and the last "n" in the word "internationalization"). 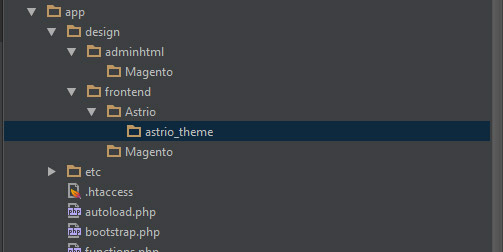 Note: The "web" folder (located in the root of the theme directory) used to store theme static files. If you need to connect a file for some specific module, you should create a module directory in the theme folder and create there a "web" folder with the structure described above. 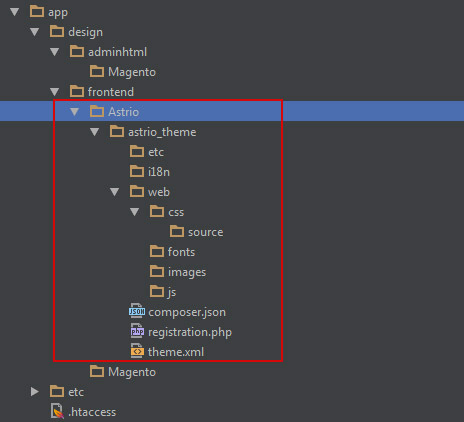 Magento 2 has a new organization structure, where there is a clear separation between module files and theme files. It is very convenient and we will return to this topic for a more detailed study later. By default in Magento 2 the logotype "logo.svg" is located in the <theme_dir>/web/images. The default logo format is SVG. Note: In this case, we extend the layout of the parent theme. The Magento 2 layouts can be overrided and extended. We will describe it in more details in the next articles. Next, you need to go to the admin panel, activate the theme and clean the cache. Note that there will be no changes in the store fronted after the theme activation, since we fully inherit the standard Luma theme. In the next article we will talk about multiple inheritance in Magento 2, and describe the layouts "extend / override" mechanism. Hello, I tried to do this but I don't see my theme in admin->Content->Themes. The issue is that it seems that it's not working on Magento 2.0.2 (fresh install). I did everything by the book... However, It worked on Magento 2.0. Any idea why? Thanks for sharing this useful information with us, I really appreciate it!